Data from previous animal studies suggest that moderate alcohol consumption may modestly increase the volume of the hippocampus of the brain, the region involved in episodic memory, promoting the generation of new nerve cells in the area. Brian Downer, from the University of Texas Medical Branch at Galveston (Texas, USA), and colleagues analyzed data from over 660 subjects enrolled in the Framingham Offspring Cohort Heart Study. The participants were interviewed regarding patterns of consumption of alcohol, underwent neuropsychological assessments, evaluated for the presence or absence of risk factors for Alzheimer's disease genetics, and underwent MRI brain scans. The researchers found that moderate consumption of alcohol in the elderly is associated with increased episodic memory and increased brain volume in the hippocampus. These modest amount of alcohol consumption had no effect on executive function or mental capacity. 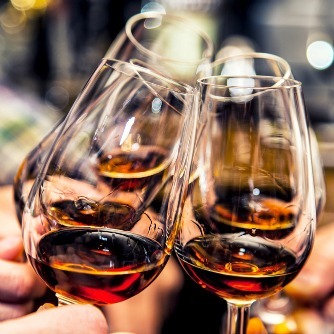 The study authors conclude that: "The results of this study provide new evidence about the fact that the volume of the hippocampus may contribute to the observed differences in episodic memory in older people and, far from promoting the consumption of alcohol, the effects of hazardous were over and over again, riveted, a modest consumption of alcohol may be beneficial. "